I have spent my entire life learning about and training dogs. Starting at a young age with 4H, I progressed on to training for competition obedience, then later protection dogs with Project Safe Run in college. After graduating college I began a successful career as a Computer Programmer, but continued to foster my love of dog training, and increase my knowledge base, spending much of my spare time training and competing with dogs in French Ring, MondioRing, Schutzhund, PSA, NADF, Herding, Agility, Obedience, Tracking, Weight Pull, Flyball and other venues. Over the years I have owned a wide variety of breeds, including Dobermann (my first love), Giant Schnauzer, Rottweiler, Beauceron, Boxer, APBT, Am Staff, Jack Russell Terrier, and Belgian Shepherd Dogs, AKA Malinois and Tervuren. The Malinois eventually became my primary breed of choice, although I do still dabble on occasion with other breeds. I have walked on the trial field over 400 times in over 12 different venues and and put over 100 titles on various dogs, most titles requiring 2-3 legs to complete. My personal dogs have been the #1 dog in the Nation in both French Ring and Herding, in addition to winning local and regional trials in many venues. I’ve been a founding member of a number of sport dog clubs, held office in local and nationals clubs, and hosted numerous seminars and demonstrations. 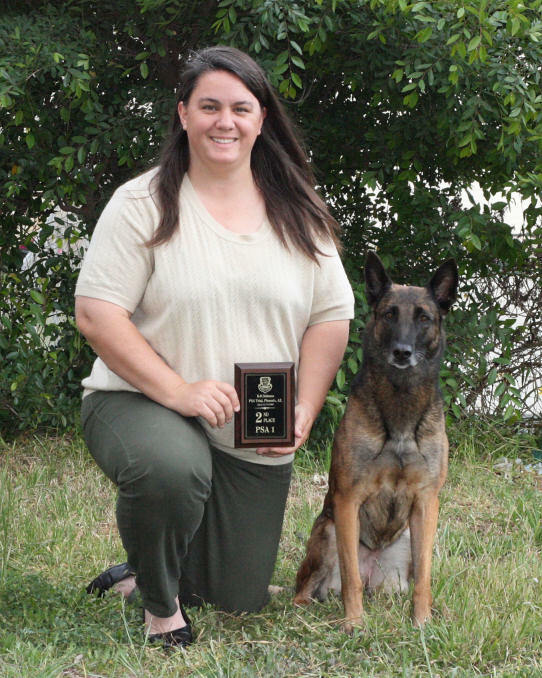 As a breeder I have produced dogs that have won Regional, National and World Championships, worked for the military and police, earned numerous performance and working sport titles, worked as ranch dogs and medical assistance dogs, protected their owners from assault, and even finished a few conformation championships. I believe that learning never stops, and have attended numerous seminars over the years, and continue to soak up knowledge wherever I can find it. When time permitted over the years I also took in the occasional board and train dogs for clients, ran private and group obedience classes, and have coached many competitive teams in a variety of venues, helping them overcome obedience and/or behavioral issues that were preventing their dogs from excelling.